Just because you have a female manager doesn’t mean you’ll get better pay 3 steps to taming the imposter syndrome beast The college degree of the top-earning CEO in every state Empathy is not a weakness but a superpower The downside of having attractive coworkers What’s the best way to guarantee a productive work environment? Work with people who do this If you do this on your resume, there is a 79% chance you will not got hired Are you using any of these 100,000 worst passwords for cybersecurity? The University of Texas Southwestern Medical Center, Department of Surgery, Division of General and Acute Care Surgery, is seeking additional faculty members. Applicant must be Board Certified in General Surgery and be eligible for a Texas Medical License. Appointment rank will be commensurate with academic accomplishments and experience.The Division of General and Acute Care Surgery is comprised of 19 university-appointed faculty members, performing more than 4,500 operating room cases per year, generating 100,000 RVUs, and has an annual operating budget in excess of $12 million. The division covers Parkland Health & Hospital System, Clements University Hospital and Zale Lipshy University Hospital. Last year the division evaluated over 3,500 trauma patients playing a significant role in a mature regional trauma system The Division also performed over 3000 emergency non-trauma operations and 750 burn operations.The division is internationally known for itsseminal contributions in burn care and traumacare, and continues to have extremely activelaboratory and clinical research programsaimed at improving patient care and gaining abetter understanding of the cellular,molecular, and genetic basis of inflammationand injury. The Divisionis also a part of severalmulti-institutional federally funded researchstudies, including the SiVENT trial and studies originating from the LITES and SIREN Consortiums. 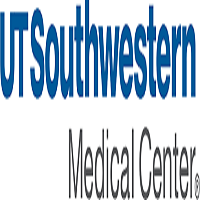 This continues a long history of leadership in multi-institutional consortium participation including the previously successful Resuscitation OutcomesConsortium (ROC), and the Trauma Glue Grant.UT Southwestern ranks among the top academic medical centers in the world. Our distinguished faculty includes active Nobel Prize winners. Nearly 4,200 medical, graduate and allied health students, residents and postdoctoral fellows are trained each year. Our physicians provide care to patients at UT Southwestern University Hospitals and Clinics as well as three other affiliated hospitals. The Dallas area boasts a low cost of living with diverse neighborhoods and great schools. The area has world class quality of life options, with more than 175 museums and art galleries, premier performance halls, numerous parks, lakes, golf courses and seven professional sport franchises.